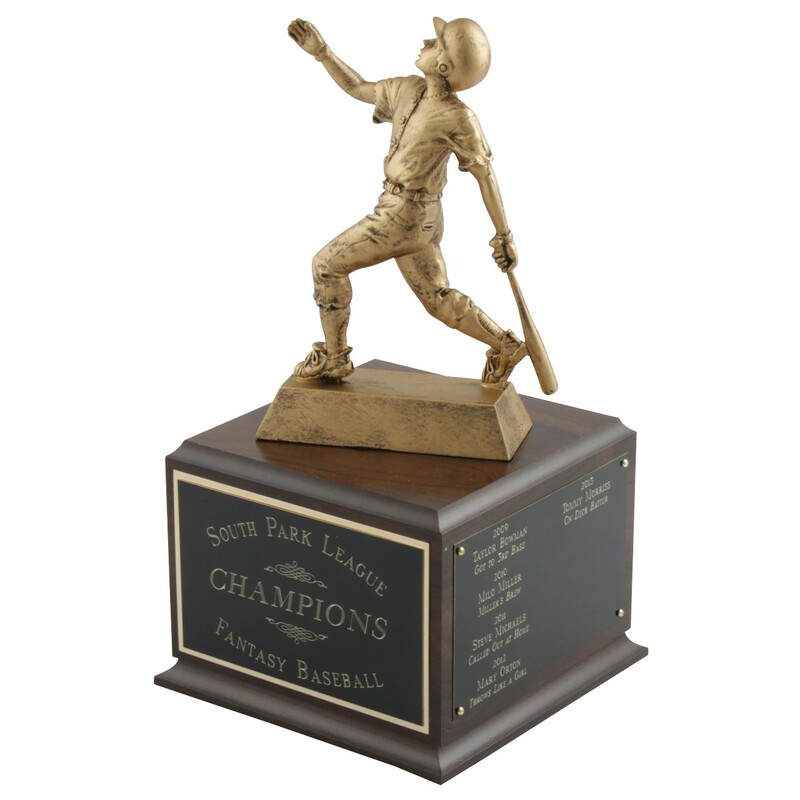 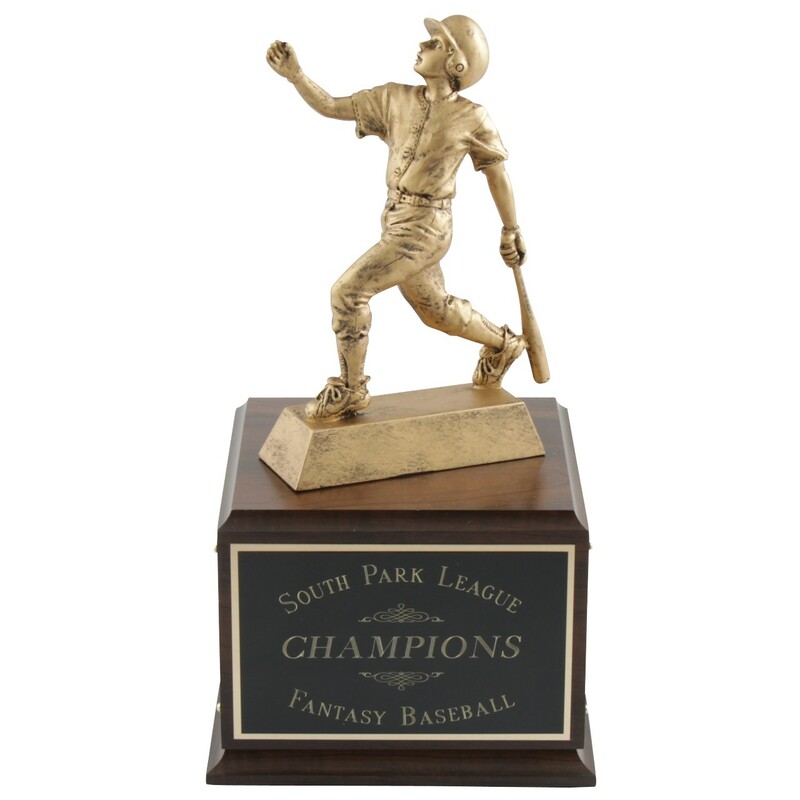 This Fantasy Baseball Perpetual Trophy is designed for years of use on your FBL memorabilia shelf. 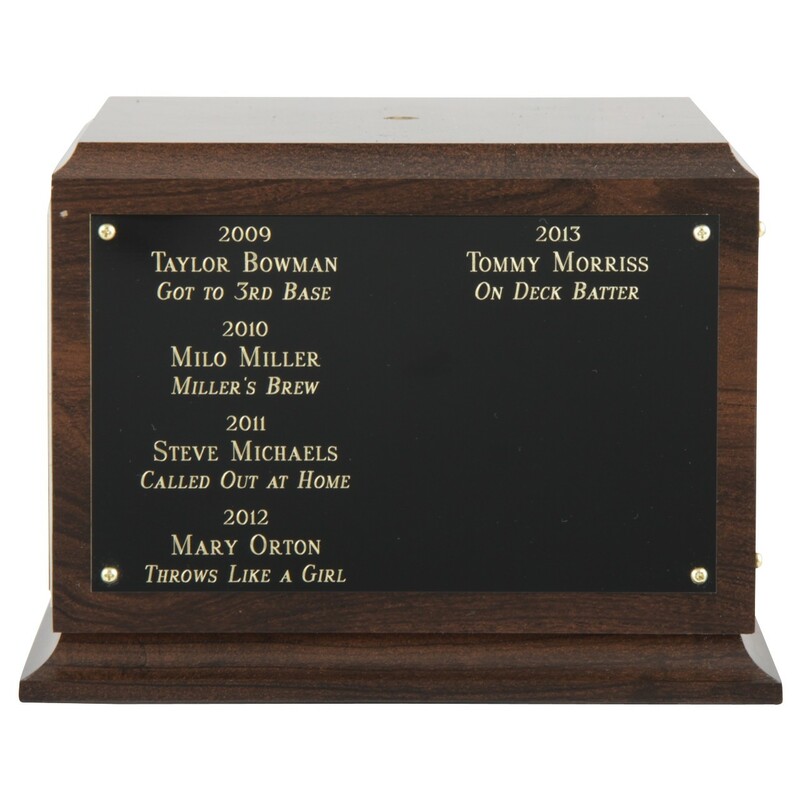 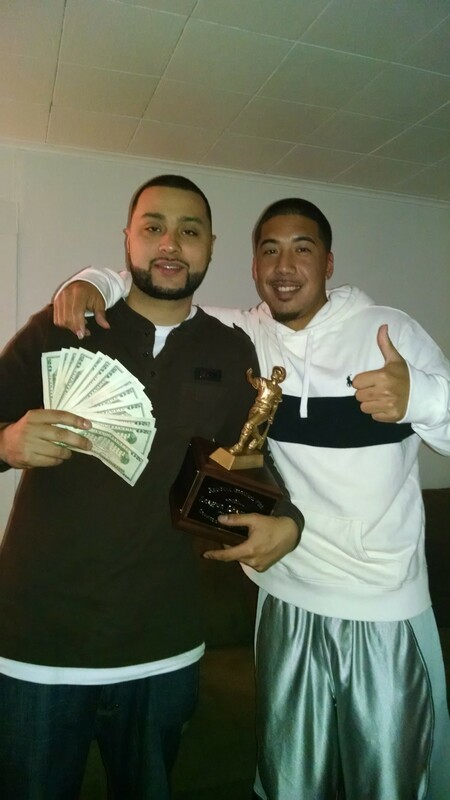 Engrave your league name or logo on the front and engrave the name of each year's winner on the optional remaining 3 sides (each side can fit 6-8 years). The top is a resin home run figure finished in bronze. 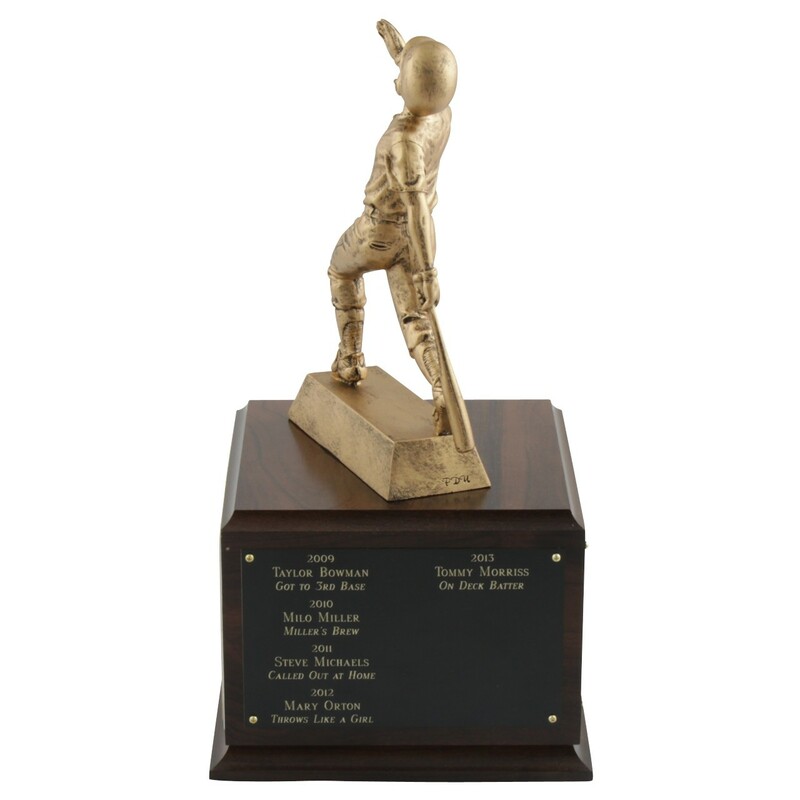 Overall height is more than 14 inches.